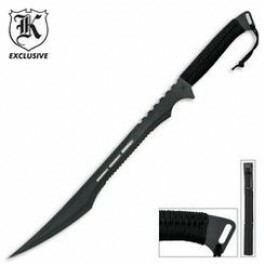 Buy Secret Agent Sword , from Budk - RBC VISA for $39.99 only in My e-commerce. Sleek, dangerous, tactical! 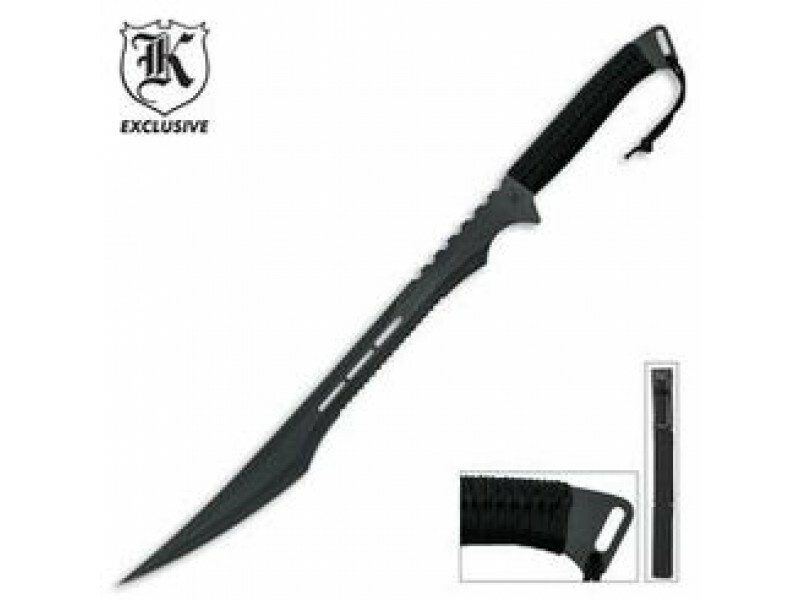 Measuring 27" overall, this sword is one solid piece of cold hard, stainless steel with a heat-treated black baked finish. The blade features fantasy cut outs, teeth like serrations, and a piercing point, and slides smoothly into the included nylon blade sheath. The nylon cord wrapped handle adds a sure grip for easy maneuverability. If there is a sword that screams to be picked up, this one is it!